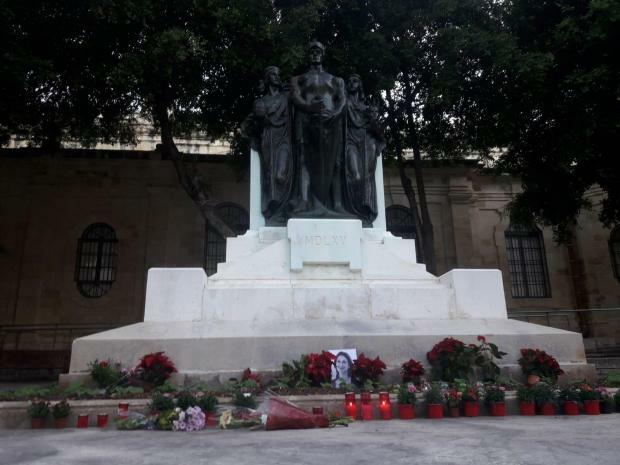 A man was hospitalised after confronting a group of people who were placing flowers and candles in memory of Daphne Caruana Galizia at the foot of the Great Siege Monument in Valletta. The man, 81, was seen, together with another individual, a 73-year-old, confronting around 10 activists who were paying tribute to the slain journalist. 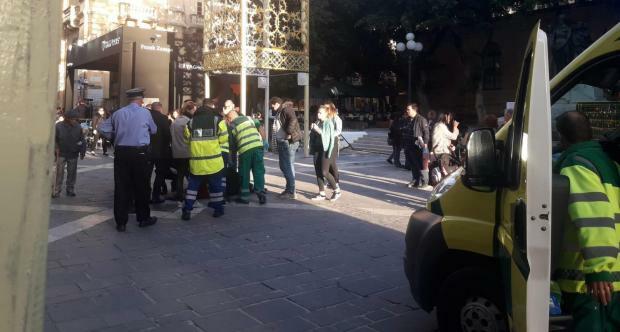 "The man appeared aggressive, the people placing flowers started filming him, he took a swing at one of them, fell over and hit his head on the ground," said Times of Malta journalist Philip Leone Ganado, who witnessed the incident around 3.45pm. Footage shows lawyer Andrew Borg Cardona telling the man not to touch any of the activists as the elderly man charges towards them, instructing them to stop filming. Times of Malta has no footage of the moment the man fell to the ground. The elderly man was hospitalised with sources saying he is undergoing tests for a head injury. His condition was later described by the police as "serious". Labour MP Silvio Parnis was seen speaking to police at one point, telling them that the victim had been pushed, a version contradicted by the activists. The incident happened just hours after the Great Siege Monument was reopened following "restoration" works. The unannounced decision to restore the monument came in early September, when government workers installed hoarding around the site and blocked off access to the memorial, which commemorates the 1565 Great Siege. Culture Minister Owen Bonnici had said that the restoration works were necessary because the monument had been “damaged” by candlewax dropped by protesters who had turned the site into a makeshift memorial for Ms Caruana Galizia. That explanation did not convince protesters, who said that the government had simply found yet another excuse to wipe all traces of the shrine from the site. Protesters continued to leave candles, flowers and portraits of Ms Caruana Galizia at the site, with authorities regularly removing them, sometimes in the dead of night. According to protest groups, the site has been cleared almost 200 times. Flowers and candles were back at the foot of the monument on Saturday afternoon. Dr Bonnici has repeatedly insisted that a national monument cannot be used as a memorial site for Ms Caruana Galizia and acknowledged that he had ordered workers to clear the site. 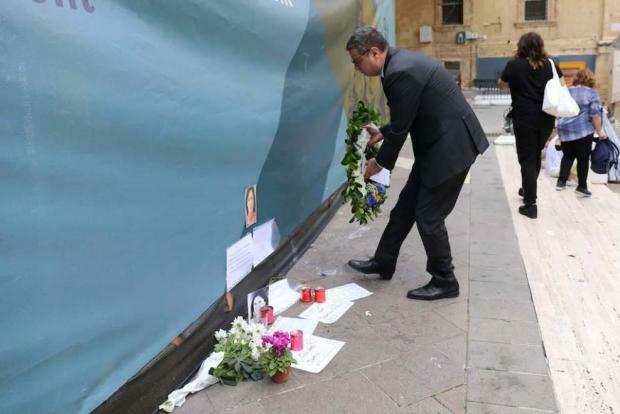 Opposition leader Adrian Delia had laid a wreath at the site in October to mark one year since Ms Caruana Galizia's assassination. Protesters subsequently covered up Dr Delia's wreath with a print-out of Ms Caruana Galizia's last blog post. Dr Delia laying a wreath at the site.